‘Neander’s Hollow’ is a collaborative piece by video artist Sabine Bürger and electronic musician Anne Chris Bakker who performed for the video camera in the Neander Valley near Düsseldorf, where in 1856 evidence of Homo Neandertalensis was found. An area rich in geological history, quarrying from the mid 19th century onwards completely destroyed the ancient landscape in just a few decades. ‘Neander’s Hollow’ is an old name for the valley when it was still a deep gorge with waterfalls and caves. Anne Chris Bakker and Sabine Bürger were inspired by descriptions of how from the 17th century onwards painters and poets descended into the valley to paint or write poetry, as did musicians to play music in solitude. 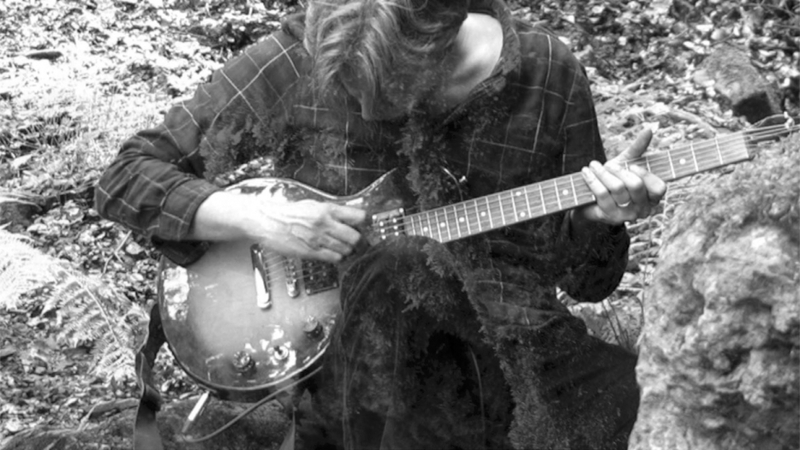 Anne Chris Bakker is a sound artist and experimental musician. His work resides somewhere between the edges of electro-acoustic music, ambient and minimal music. His performance at MAF is a presentation in sound of the Neanderthal as a landscape in decay. Saturday, December 9th | Première 3:30 p.m. The film will be screened for the rest of the day until 10 p.m.